Light like a feather and as free as a bird – Kiki and Jiji swing up into lofty heights, accompanied by a group of seagulls. 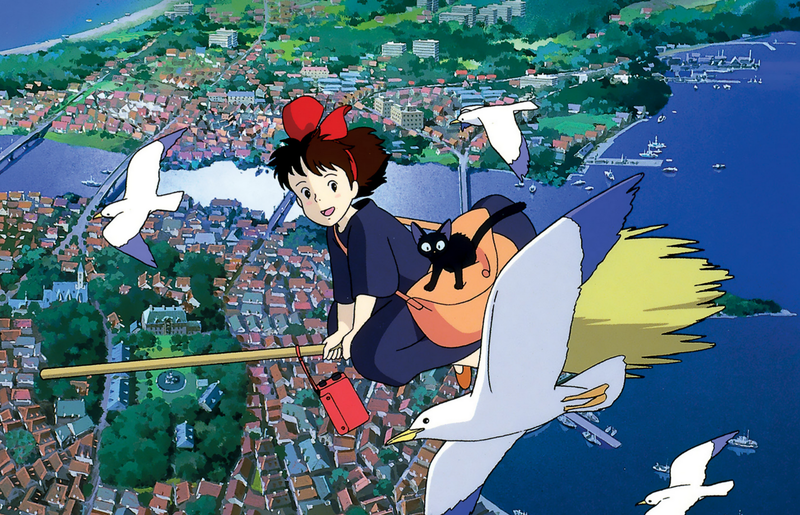 KIKI’S DELIVERY SERVICE (魔女の宅急便・まじょのたっきゅうびん), I haven’t seen the movie myself yet, I guess I should catch up on that eventually. For the song, I picked it up by sheer chance when watching Japanese television. It was the background music of a SANTORY non-alcohol drink advertisement ;).